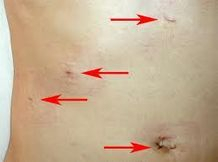 This surgery is usually done with either 3 or 4 ports/small 0.5--1cm cuts. General anesthesia is given for this surgery, which usually lasts 2 hours or less. 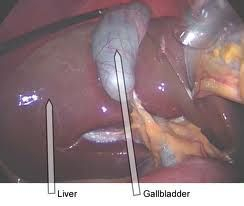 After surgery, bile flows from the liver (where it is made) through the common bile duct and into the small intestine. In most people, this has no effect on digestion. 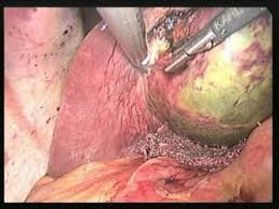 In 3to 5 out of 100 laparoscopic gallbladder surgeries ,the surgeon needs to switch to an open surgical method that requires a larger incision.1 Examples of problems that can require open rather than laparoscopic surgery include unexpected inflammation, scar tissue, injury, and bleeding. Most people can return to their normal activities in 7 to 10 days. 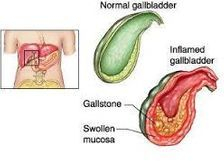 People who have laparoscopic gallbladder surgery are sore for about a week. 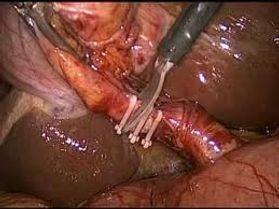 No special diets or other precautions are needed after surgery. How Well It Works ? What To expect about recovery ?